I’ve decided I need to redo my story. Plus the old topic was getting…old. Backstory and Rado Trucks Inc.
After Japan attacked Pearl Harbor in 1941, to build trucks for the US army the company Rado Trucks Inc. was founded. Run by John Jake Rado (1903-1995) and Sam Johnson (1911-1984) the company built trucks for the US Government in WW2. These trucks weren’t so popular in the US army, but US citizens realized that these trucks would be perfect for hobbyists and farmers. Featuring a 2.8l Inline-6 engine making 70 hp and 116 ft-lbs of torque the car would go from 0 to 62 mph in 21 seconds and hit a top speed of 79.5 mph. It came standard with a transfer case and lockable differentials front and rear. In September 1945, WW2 ended. 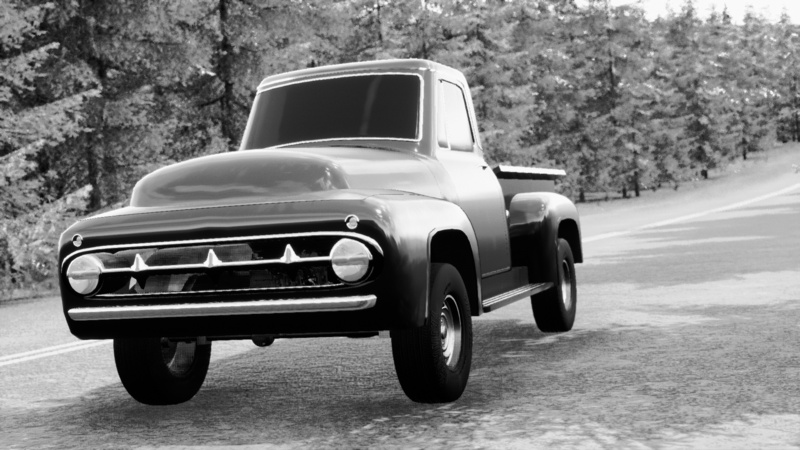 As a result the contract by Rado to supply trucks to the US army was broken and the stockpile was sold off for private use (The US army disliked the trucks) With the 2 co-founders realizing the situation, they founded Rado Automotives Inc.as a sub-company of Rado Trucks Inc. In 2 years they developed the Rado I sedan. The Rado I launched as the Rado 1200 Sedan. 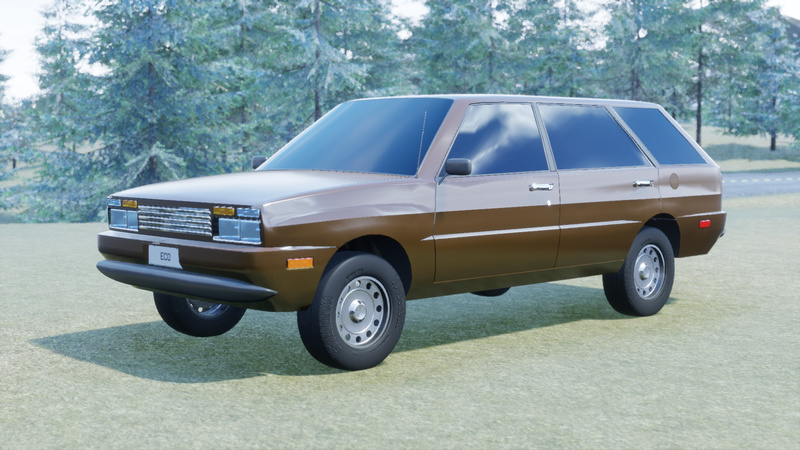 Featuring a 1.2l DAOHC I4 making 45 hp and 59 ft-lbs of torque the Rado 1200 Sedan was noted for offering luxuries like padded seats and an AM radio for cheap. It launched at a price of 7710 Automation Units in 1946. It went to 62 in 19.3 seconds with a top speed of 86 mph. Rado soon decided it needed a true upscale offering, and the Rado L delivered it. Featuring a 3.6l Inline-6 engine making 125 hp and 204 ft-lbs of torque the Rado L went to 62 mph in 13.4 seconds with a top speed of 108 mph. It also featured a premium interior and AM radio and luxuries like Safety Glass. It also featured Suicide doors and much less chrome than it’s rivals. It was priced at 9833 Automation Units in 1947. Rado was founded in 1941 by co-founders Samuel Jacob Rado (who resigned in January 1974 for SOFA-related reasons) and John Richardson (who died in 1983) and started production of it’s trucks and vans for private use in 1947 under the name of Rado Trucks. The Rado Trucks 100 was it’s first creation, and one that would last in one form or another as it’s main pickup truck for several decades. It was powered by a 240 ci straight-six through an open differential. However, Rado’s true bread and butter before the events of the 1970s was it’s vans. 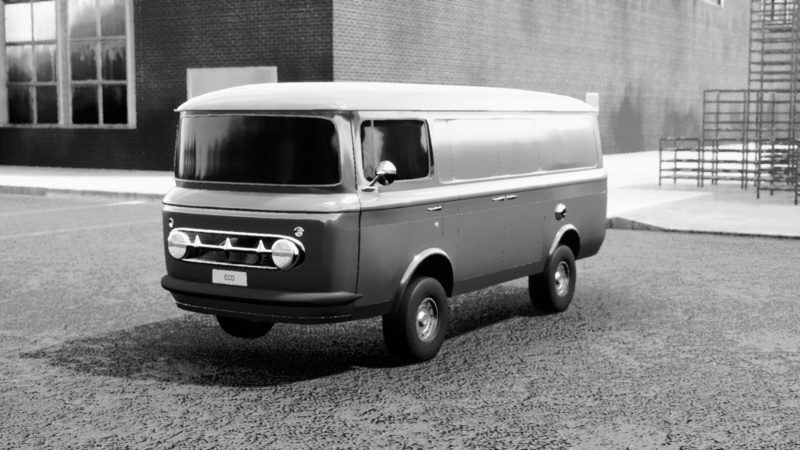 First introduced in 1951, this family of vans would become the vast majority of sales for the company for the next few decades. It was a Rado Trucks 100 with the 276ci 6-cylinder and stiffer rear suspension. 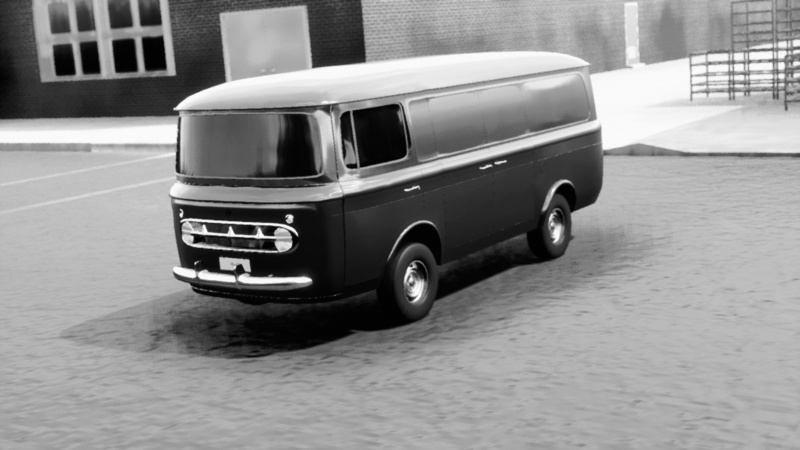 The main star though was the long wheelbase version of the Van 100, called the Van 1000, with the 276ci I6 engine. While sales were still going well, Rado wanted a relatively inexpensive way to enter the passenger car market, not wanting to spend too much on a gamble that could backfire. 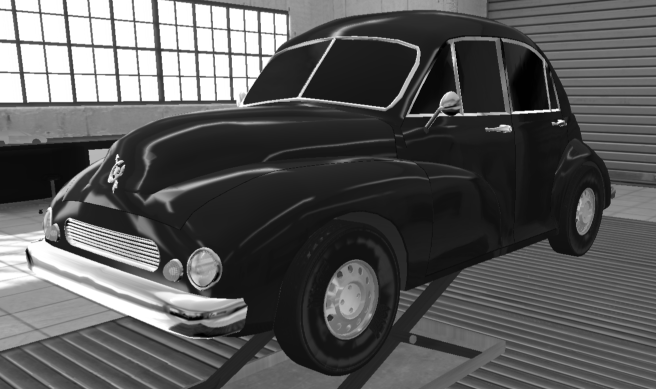 They ended up joining forces with communist car company SOFA, causing the importation of the infamous Rado Communt, which had a rather…big scandal relating to it’s safety, or rather it’s lack of it. 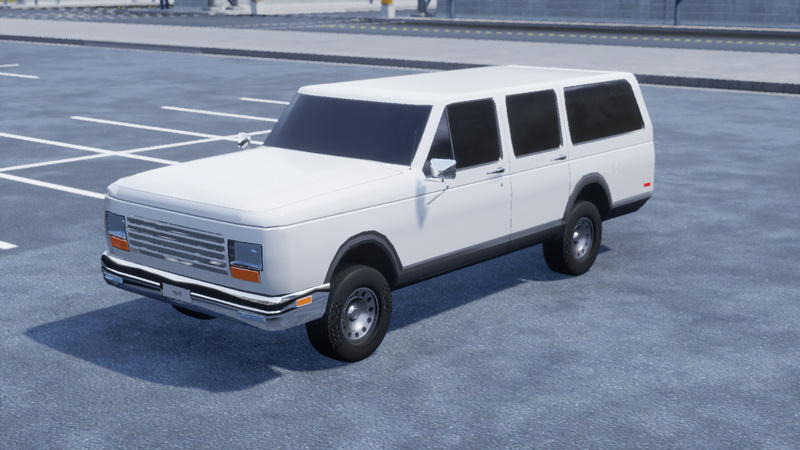 After the fallout from that incident, Rado decided another try was worth it by a very narrow vote, taking their existing van platform and making it narrower to fit a standard wagon body on it. 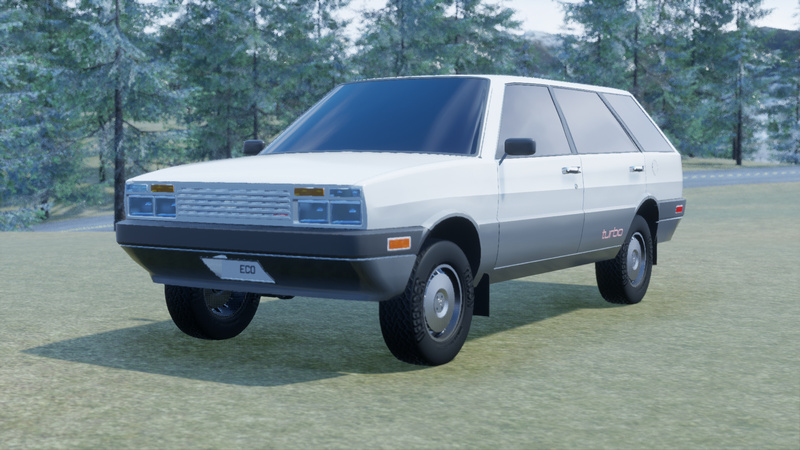 With a new engine design well in progress, the only solution to increase power for an offroad model of the Adventure was to turbocharge it. 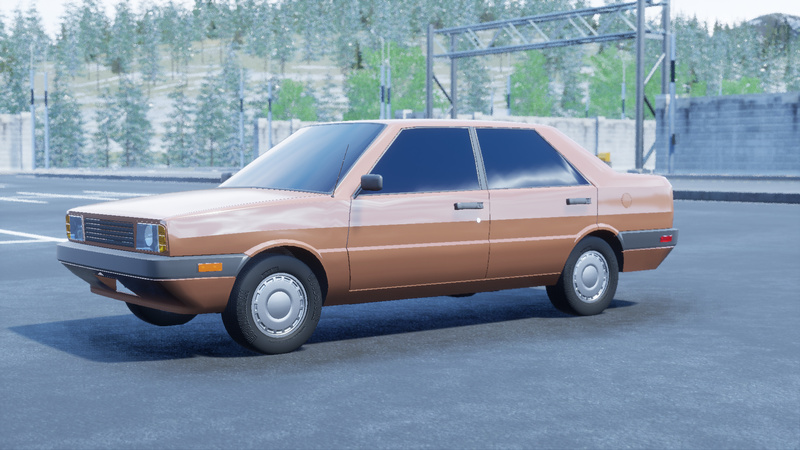 Which they did for '82, and it resulted in a significant power increase, combined with standard 4WD (rather than optional). The 1980s was good for Rado. That itself was a good contrast to the internal chaos of the 1970s, and with the completion of the OHC engine project with the release of 2.1 liter inline-4 and 3.1 liter v6 engines in the facelifted Adventure, and the release of both that and a platform with independent front and rear suspension in the Rado Superior, Rado could look up to the late 80s and early 90s. But for now, things were okay. 140 Basic - Base model with carbureted 2.3 liter OHV engine, engine is a holdover from the early 80s. 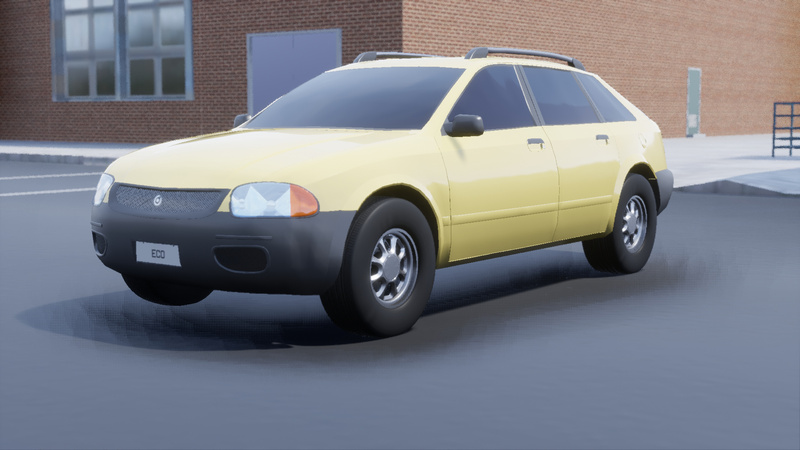 127A Basic - Base model with fuel-injected 2.1 liter SOHC engine, makes about 90 hp. 127A Value - Mid-range model with fuel-injected 2.1 liter SOHC engine. 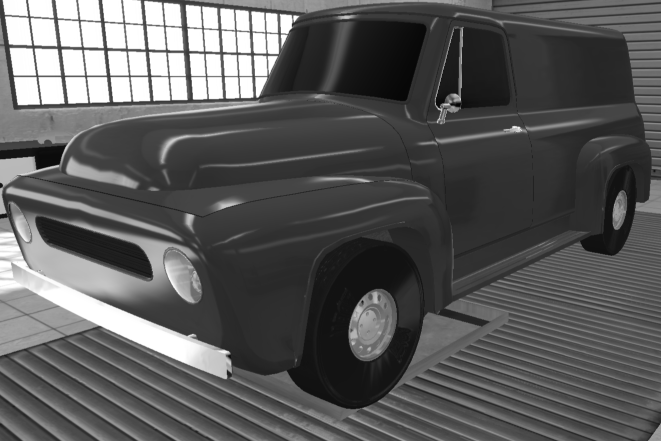 Adds hubcaps and better suspension. 191A Value - Mid-range model with fuel injected 3.1 liter SOHC V6 engine, makes 138 hp. 191A Suite - Premium model with velour cloth seats, higher quality radio, and chrome trim on the doors and pillars. Power: 73 to 138 hp. Torque: 105 to 165 lb-ft. Weight: 2419 to 2711 lbs. Price: Starts at $7767 with 0% markup for a 140 Basic. Options and higher trim levels will add to the price. 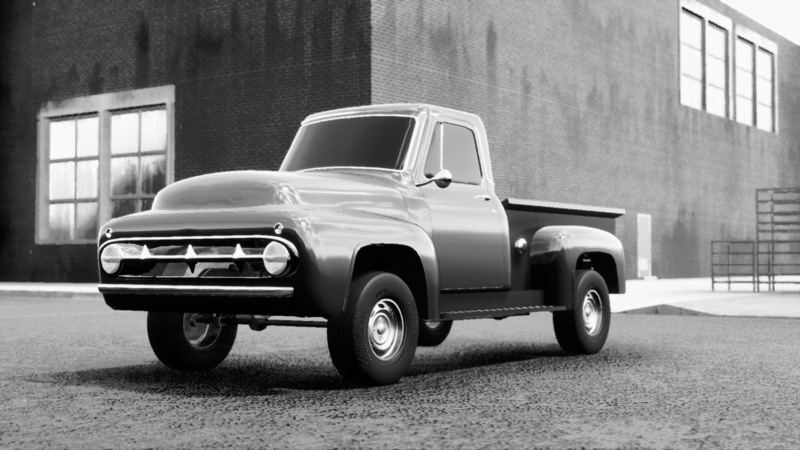 While Rado’s more compact models got all the attention, Rado’s traditional truck and van models were left to rot. The Rado Trucks 200’s third generation began in 1981 and ended in 1994, with minor updates adding casette players and single-point fuel injection. This wasn’t enough to save it into the mid 90s, with it’s rapidly aging design. Price: Starts at $10952 without markup. Options will add to the price. The Adventure got an enlarged second generation in 1988, which dropped the old 140ci 2.3 liter OHV engine from the Adventure entirely, leaving only the 2.1 liter 4 cylinder and the 3.1 liter V6. By 1996, the second generation itself was replaced with a third generation, and the 2.1 I4 and 3.1 V6, once so new and cutting edge, were now in their twilight years. The new 2.4 liter DOHC Inline-4, introduced with the new Adventure, was more powerful than the old 3.1 was. Development delays forced The 20th model year of the Adventure in 1999 ended up being rather uneventful, with a facelift coming in 2000. 2.1 Basic-2 - Base model with 2.1 liter SOHC engine. Has 14-inch steel wheels. 2.4 Basic-2 - Base model with 2.4 liter DOHC engine. Makes 141 hp. 2.4 Basic-4 - Base 4WD model with 2.4 liter DOHC engine. 2.4 Value-4 - Mid-range 4WD model with 2.4 liter DOHC engine. Adds hubcaps, CD player/better cassette, and painted trim on the sides. 3.1 Value-4 - Mid-range 4WD model with 3.1 liter DOHC Inline-5 engine. Makes 185 hp. 3.1 Suite-4 - Premium 4WD model with leather seats, painted bumpers, 15-inch alloy wheels, and chrome window trim and door handles. Power: 93 to 185 hp. Torque: 113 lb-ft to 180 lb-ft. Weight: 3077 lbs to 3858 lbs. Price: Starts at $9749 with 0% markup for a 127 Basic-2. Options and higher trim levels will add to the price.